After returning to North Carolina, Paula Broadwell tells friends she's deeply sorry for the affair that brought down Gen. David Petraeus. 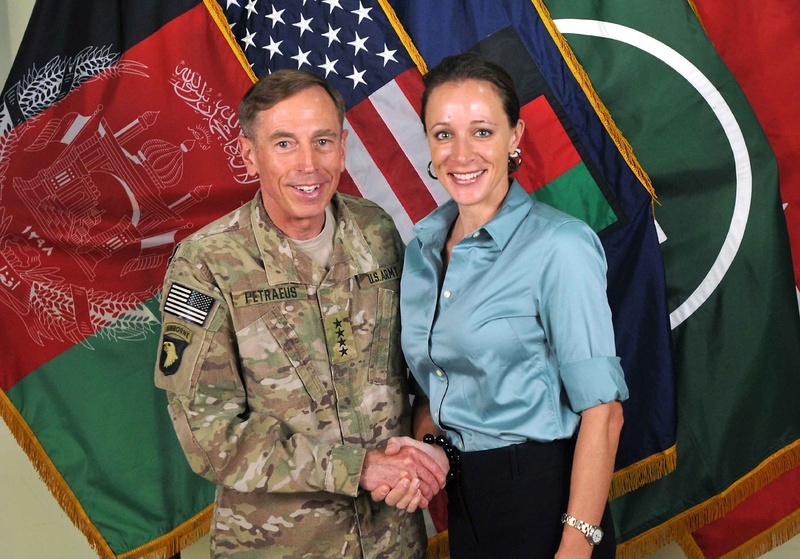 WASHINGTON — Paula Broadwell is telling friends she is devastated by the fallout from her extramarital affair with retired Gen. David Petraeus, which led to his resignation as head of the CIA. A person close to Broadwell said Sunday she deeply regrets the damage that’s been done to her family and everyone else’s, and she is trying to repair that and move forward. The person spoke on condition of anonymity because he was not authorized to speak publicly. A group of friends and neighbors welcomed Broadwell, her husband, Scott, and their young sons back to their home in Charlotte, N.C., after Broadwell spent more than a week being hounded by media while staying at her brother’s home in Washington. The family associate said she was overwhelmed by the outpouring of support from her neighbors. Kelley served as sort of an unpaid social liaison for Central Command, hosting parties at her and her husband’s home, where senior officers would mingle with Tampa’s elite. Officials say Kelley kept in near constant contact with Allen, and Petraeus before him, apparently trading on her friendship with the four-star commanders to advance her social status in the military-conscious community of Tampa. The scandal widened when the Pentagon announced it was looking into that copious correspondence between Kelley and Allen, searching for possible evidence of an inappropriate relationship between the two married people. Allen’s nomination to lead the U.S. European Command has been put on hold, pending results of the investigation, though officials now concede only a handful of the emails between Kelley and Allen are of a flirtatious or questionable nature.